Growing up, I'm always fascinated with my mom's affection for kitchenware and cookware products. She love to take the time mixing and matching plates and casserole from different designs in her Corelle & Corningware collection to make our meal time feels even more special. 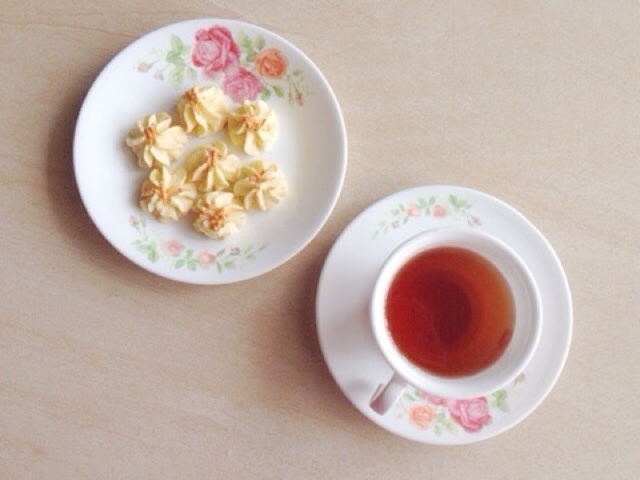 According to my mom, food taste better when it presented nicely =) Knowing her, I knew she will feel ecstatic when she learns that Corelle is launching their new collection, Rosabelle recently to celebrate their 45th Anniversary!!! I believe iconic brand like Corelle needs no introduction to Malaysian household. With more than 140 patterns available here in our country, Corelle & Corningware definitely have build a reputation as the leading name in the industry. Sometimes it's easy to forget the fact that Corelle & Corningware are actually under the roof of World Kitchen, American kitchenware products maker and distributors when you see how popular the brands really are locally, right? Just like my mom, I guess I'm a sucker for beautiful kitchenware as well. 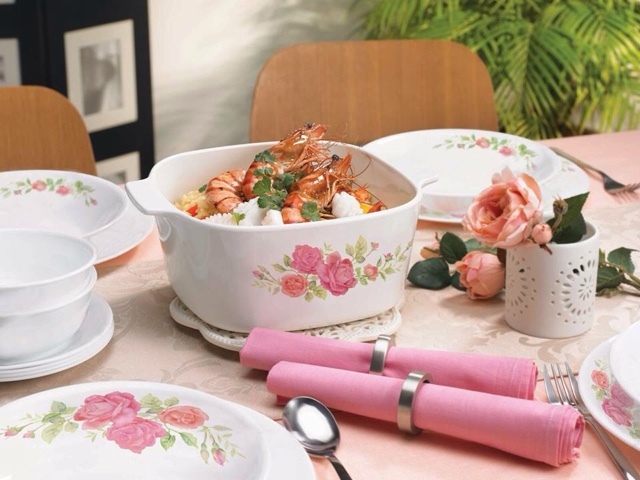 Corelle latest collection, Rosabelle definitely what I'm looking for this coming Raya. Derived from French words like Rosa (rose) and Belle (beautiful), the designed rose pattern looks very lifelike due to its reflective pinkish petals. Not only that, the orange rose in the design too is actually based on real flower, the Apricot Rose which gave an English and Victorian vibes to the collection. 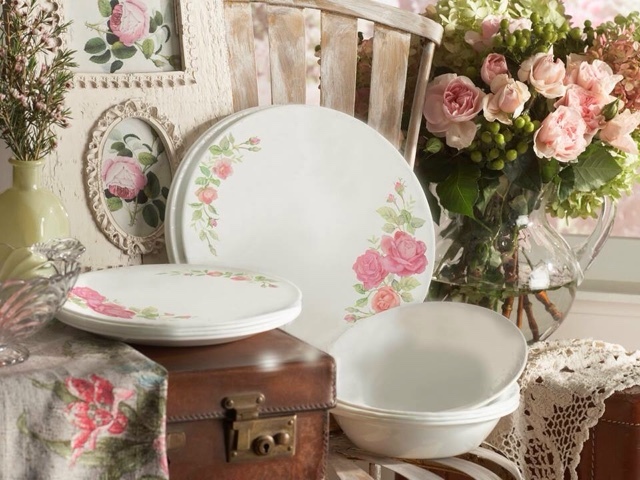 Even a guy can appreciate this beauty, it's so pretty and classy for your dining table, I just wish I'm very good at cooking because Corelle Rosabelle truly deserved a great dish to go with it, don't you think? Since Raya is just around the corner, I believe giving a little makeover to your kitchenware would be a very nice touch especially when it's from a brand that trusted by many for generations like Corelle & Corningware. I love having guests on festive season so yes, Corelle Rosabelle range is just perfect for the occasion ^_^ It's lightweight, durable, break and chip resistant due to it's unique material which is known as Vitrelle; a 3 layered laminated glass that's not only have superior strength but easy to clean and microwave & oven safe. What more can you ask for, they have it all covered!!! Corningware too is a great investment for all of you homecooks out there. 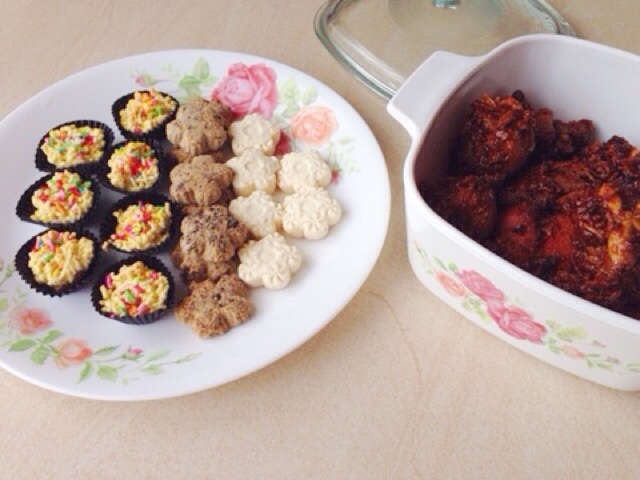 I love how versatile it's truly is, you can serve it straight from the freezer, to the stovetop or even oven in style. Let's not forget the amazing technology behind it which is called Pyroceram; a revolutionary glass ceramic that is non-porous and does not retain food particles, odours or stain. I also like the fact that Corningware can retain heat longer & cooks food perfectly on lower setting than other cookware.